We are told that sales is a numbers game, and if we can just power through the statistical number of rejections, we are guaranteed to stumble upon a willing buyer. But while statistics can give you a model for gauging your odds, your chances of reaching your sales goals can be greatly diminished if you make some common mistakes in your sales interview. The anticipation leading up to a sales interview combined with the pressure to successfully seal the deal can invoke an adrenaline rush that goes straight to your tongue. When you’re all revved up, the time span from the initial handshake to asking for the sale can become a monologue that extolls the virtues or your product or service. The problem is that in your excitement, you have completely overlooked the human factor. Your prospective client agreed to see you because they have a problem that they hoped you could help them solve. 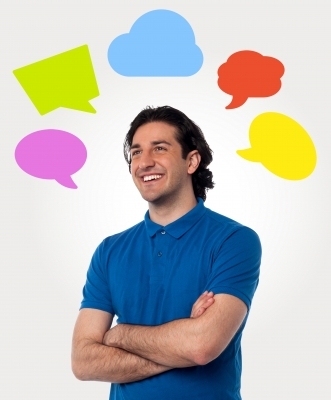 Failing to include them in the conversation is a fatal mistake that may cost you the sale. 2. Making assumptions about your prospect. The adage to not judge a book by its cover is universal. Yet when it comes to sales, it is tempting to size up your prospect based on appearances. Pre-judging your customer based on grooming, mode of dress, gender or ethnicity can alter the way you approach your sales interview. Before jumping to conclusions, engage your prospect in easy conversation that gives them a chance to reveal their needs and purpose. Connecting to your customer on a human, nonjudgemental level is key to sales success. 3. Misrepresenting your product or service. No matter how awesome you think your product is, it will not meet everyone’s needs. It may be tempting to make promises you cannot fulfill when your prospect has expressly communicated needs or preferences that you do not offer. No matter how eager you are to make the sale, truthfulness about what you can and cannot commit to is fundamental to sales success. Lying about your services will lead to mistrust, cancelled contracts, and a poor reputation for you and your business. 4. Trying too hard to up-sell. One of the primary marketing strategies to draw in new business is to advertise your product at a substantial savings for a limited time. The offered product or service is often what is called a loss leader, meaning the business makes little or no profit on the deal, in hopes of up-selling to a larger package, or converting to a full-price contract after the initial offering has run its course. Your eagerness to convert a special offer into a full-price deal may send your prospect running for the door, feeling that they have been lied to. While it is alright to up-sell in your initial sales interview, pay close attention to the signals, verbal and non-verbal, that your customer is sending. They may be a better candidate for an upgrade later on, once they have sampled the goods. 5. Sticking too closely to the script. 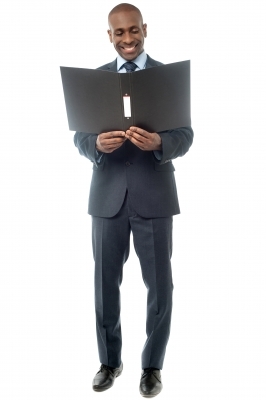 Many businesses have a sales script that you are encouraged to use in your sales interview. The idea is that sticking to the script will ensure that you cover all the major points, and that you make all the appropriate closing statements. The problem with sticking too closely to the script is that it often comes off sounding phony and, well, scripted. Customers want authenticity and honesty. They want to do business with someone who is trustworthy, and who treats them with respect. Reciting a robotic script will often be a red flag for an otherwise willing prospect. Better to relax and be yourself. For fitness professionals, training is often the easy part of the fitness business. Selling can be intimidating, and canned pitches can sound phony and insincere. W.I.T.S. has the tools and support you need to become a sales whiz-kid. Check out our numerous online continuing education courses from our Fitness Business Institute. These and dozens of other online courses are available to help you make your business boom!